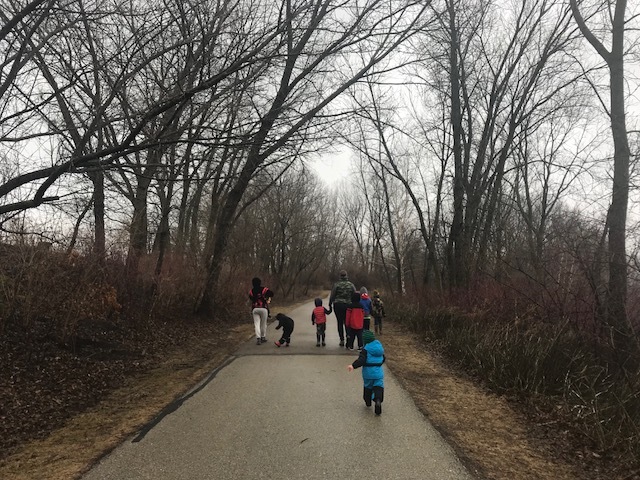 Fox Brook Park is one of the eight Waukesha County Parks. 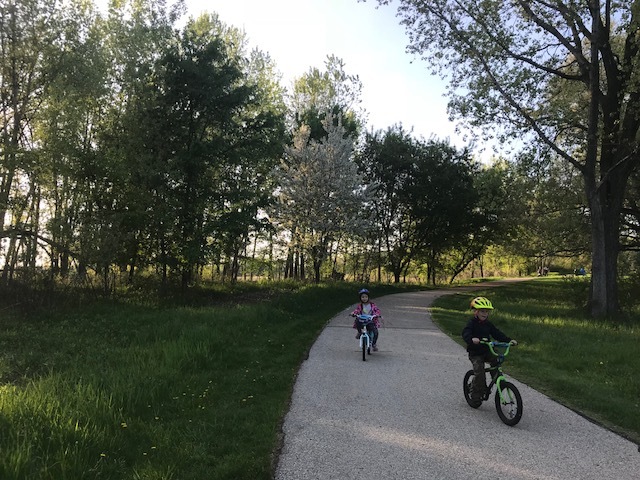 Located in Brookfield, this park features a nearly one- mile, paved loop trail, perfect for small hikers, little bikers and strollers. The park is adjacent to a much used railroad track, so you’ll often hear and see trains while hiking here. Also look for waterfowl, fishermen, large unique trees and bat houses. 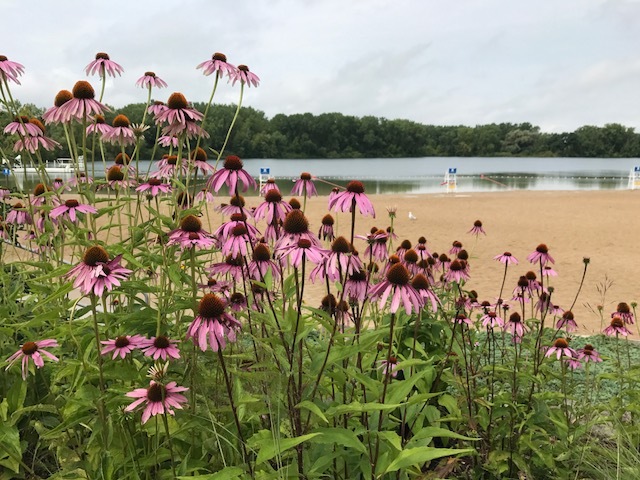 After your hike, spend time at the popular beach area which features a seasonal, supervised swimming area, boat rentals, playground equipment, dog swim area and picnic areas including several with grills. The main building offers restrooms with showers and water fountains, but off season it is locked and the year round restroom can be found off the smaller parking lot for the boat launch, further West into the park. 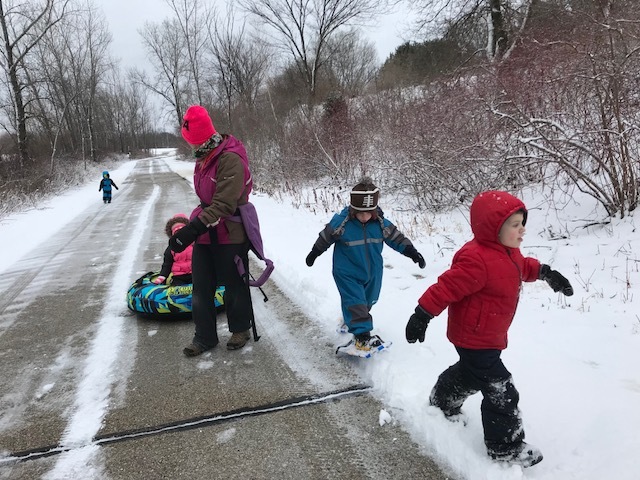 A $5 daily entrance fee is required, or an annual sticker for Waukesha County Parks can be purchased.